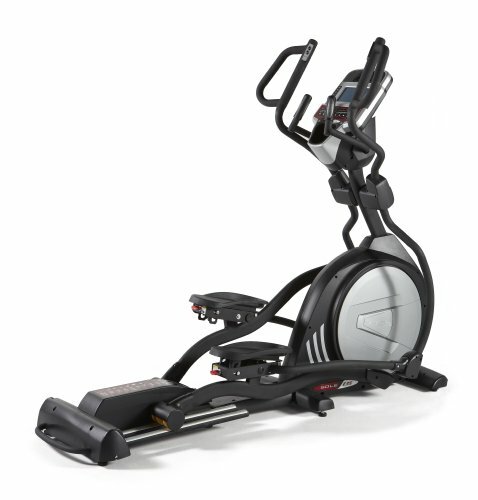 When you dig deep into your pockets so as to afford an elliptical, the most you expect is that it will be worth the price you pay for. You will also not want to go through the agony of realizing that for less than that the price, you would still have found something similar. 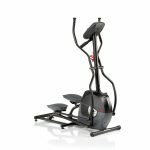 Sole Fitness E35 Elliptical Trainer is a big-ticket elliptical machine so popular with fitness enthusiasts. But the popularity of this machine is not a result of its high price. No. 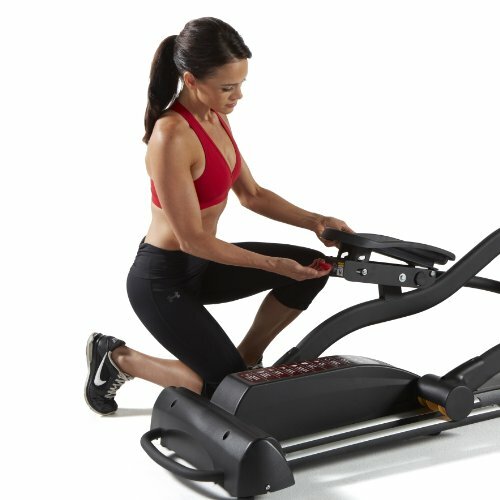 It is due to its stellar performance as a workout machine. From the easy controls, high adjustability and ease of use to comfort, superlative quality and diversity, Sole E35 is everything you will demand to have for the price you pay for it. If all you care about is value for your money, then we’ll break down every detail to show you why it should on top of your list. Looking at all these features, it's easy to see why the Sole E35 dominates the fitness market. It's safe, stable, quiet, comfortable, durable, name it. 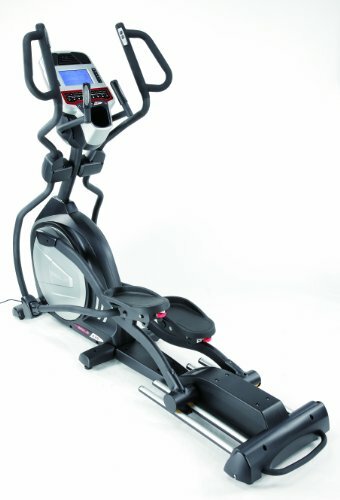 Almost any trainer would appreciate the idea of owning this type of elliptical trainer. Regarding the price, you wouldn't care a lot purchasing this machine if you put its performance first. Your value for money will be 100%. If you really want to reward yourself with something you will live to admire, please consider the Sole E35. You can be a proud owner of this machine by heading over to Amazon and making your order today. In Sole Brand’s E series, Sole Fitness E35 comes next after the E25 model. Over the years, more focus has been put in maximizing its performance through regular upgrades. Our review takes a closer look at all these features so to bring out every truth about this machine. Sole E35 comes equipped with an eddy current resistance system. What this implies is that to adjust the resistance, you will have to do it using either the console or the controls on the right handlebar. To power the machine’s console, you will have to plug the machine into a power source. Note that you can still carry on with your workout when it’s not powered but this will only limit you to the lowest resistance setting. You also have a total of 15 resistance levels to choose from for your workout. For the incline, you have 15 levels to choose from and also a total of 30 degrees. This is a decent thing for a machine of its class. Also worth mentioning is that the incline is automatic and can be adjusted from either the console or the controls on the handlebar. Many of Sole Ellipticals are front drive trainers. On top of having this feature, the Sole E35 also packs a heavy flywheel (29kg) that adds support in ensuring a smooth striding motion and consistent momentum. E35 model comes with a multifunctional console. It features diagonal screen measuring 7.5″ and a blue backlight to enhance readability. 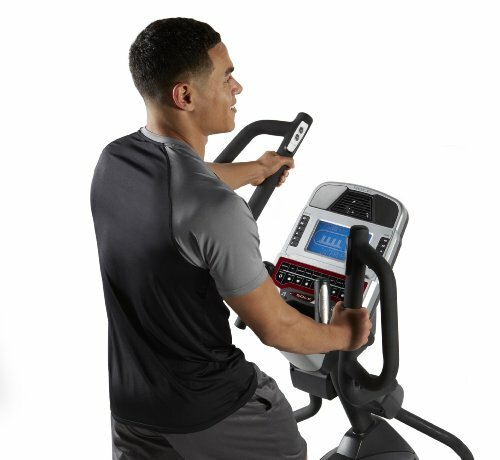 Also included on the console are two user profiles and 10 innovative workout programs. Also worth mentioning is that the console is telemetered. Other than the controls on the handlebars, you can make use of a heart rate chest strap to record your pulse rate. The frame for this machine is a product of 2 solid steel pieces connecting at the center. Rest of the metallic parts connecting to the frame are coated with an anti-corrosive powder. The flywheel’s casing is made of solid plastic whereas the arms are made of steel tubing. Wheels, on the other hand, come from polyurethane material. 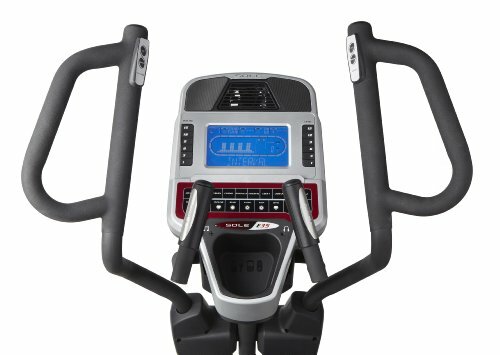 The machine’s three bases come equipped with adjustable stabilizers. Rubber caps are fixed on each stabilizer foot so as to protect against any damage on the floor. Transport wheels have been fixed on the front side while the rear packs a handle to ensure that the machine is stable and easy to move around. Sole E35’s mobile arms are fitted with multi-grip handles and integrated controls to regulate the resistance and incline. The fixed handlebars feature EKG pulse sensors. 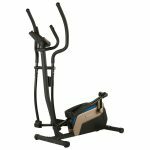 When working out, the handlebars will ensure you have a comfortable and consistent workout. The footrests of this machine have been designed to articulate and be adjustable so as to absorb any shocks that emerge. They are also quite spacious and able to accommodate feet of all shapes and sizes. You will also experience a natural walking motion and less impact on your ankles and feet, thanks to the footplate’s 2 degree inward slope. The fact that machine is quite heavy, expect the assembly to also carry with its own share of challenges. You may actually need the help of one or two more people to screw together some parts together. Even though there are several pieces to be taken care of during the assembly, the process itself isn’t so complicated. An average of one hour is enough to get this process done. 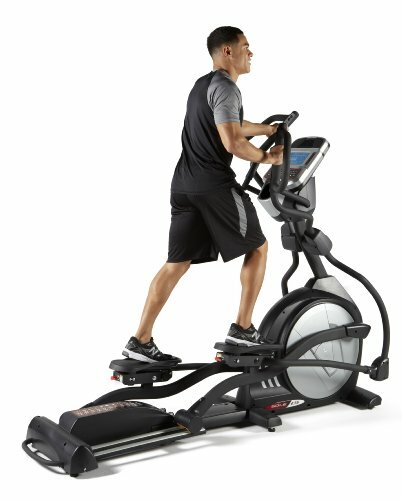 Fitness plan- 5-year warranty from Warrantech (free in-home services included). It’s optional, though. As for the weight, Sole E35 has a maximum user weight of around 375 lbs. Sole E35’s greatest competitor is its sister model, Sole E25. The E25 retails at a lower price although the difference is only a few hundred dollars. Additional features in Sole E35 like the telemetry belt explain for the price difference. However, the design features and console unit are pretty much the same. There’s also a slight difference when it comes to the warranty where E35 packs an enticing set of warranties compared to the E35. Choosing between these two is a matter of price and not really so much to do with the performance. Another close rival is the ProForm 935E. ProForm 935E retails at a slightly lower price than that of Sole E35. It also packs more resistance levels and workout programs than Sole E35. It also has an adjustable incline and a few additional features like the iFit technology that Sole E35 lacks. The rest of the features look quite similar and so any user will have a difficult time deciding which one to choose between these two.